Report from a reliable source indicates that Lohshie Eugene,a Level 300 student from the department of Journalism and Mass Communication has been brutality beaten by forces of law and order. sources say he was caught on campus and taken to the Buea central Police station,after receiving snake beatens beyong recognition. He is among the unfutunate students who have also been beaten due to the strike action. Our sources also say the recent strike action has taken a different twist as non-students have join in the unrest.The battle is now between perpetrators,innocent students and the police who are said to have transformed UB to a military barracks. Tear gas and canons now battle space in the air with birds as they fly from left to right top disperes the striking students. News Watch reports that Six persons have been injured following the second spate of unrest in less than three months in state-run University of Buea in southwest Cameroon. The injured are campus security guards and at least three vehicles belonging to the institution were destroyed by striking students, an official of the university who asked not to be named said. Another official said the students mainly want charges at a Buea court against 12 student leaders dropped and for fresh first semester examinations to be set for the suspects who were rounded up during the examinations period. The students were charged to court for holding the Vice Chancellor, Dr Nalova Lyonga, hostage for over three hours in her car on campus during a strike in February. 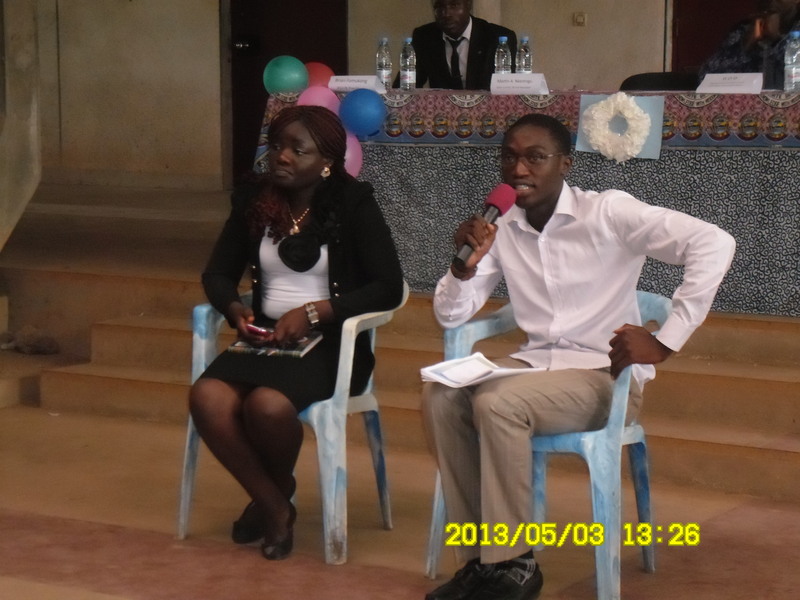 The students also want the institutions leadership to let the union elect its leadership before May 20 and demand that the union be accorded funding, a release on Saturday from the University of Buea Students Union (UBSU) stated. The latest strike comes after talks ended in a deadlock on two occasions. The vice chancellor rejected the demands of the students at a meeting on Monday. Security forces are reported to have forced their way through barricades mounted by the students and was dispersing them with tear gas. According to Contacting the VC on phone a while ago, Dr Nalova said she could not comment on the issue because she was on the highway. She was spotted at the National assembly in Yaounde late on yesterday, Tuesday May 14 during the first statutory ordinary session of the senate. Fresh images from UB reveal the some what little strike action that begun in the morning has been fanned to a giant street street protest with hundreds of students and mescineries joining the strike and the invasion and looting of properties around UB junction was the other of the day. The S.D.O. of Fako, Zang III has cut short his resting day after weeks of installation to address this disturbing situation. A huge contingent of military officers have been deployed to the seen to kind of instruction to cleanse the street of Molyko from any student, big or small. Many fear that if nothing is done,the 2005 incident may replicate itself.